Today I had planned to do a recap of the Winter Style Me Challenge and show the last week of outfits. However, I don't have a single picture of said outfits. I'm not sure what I wore, but I definitely didn't document anything. Instead, I decided to share some of the ways I was challenged in 2014. I have always loved fashion, which is why I studied it in college. I used to get dressed in real clothes everyday, but by early this year I had fallen into a bad habit of wearing yoga pants or jeans and sweatshirts all the time. 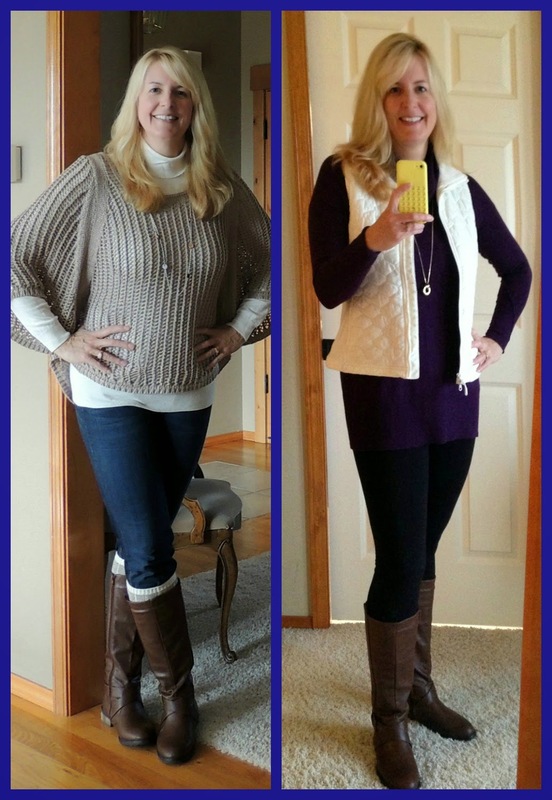 One of my reasons for starting this blog was to force myself to get out of the sweats and back into stylish clothes. 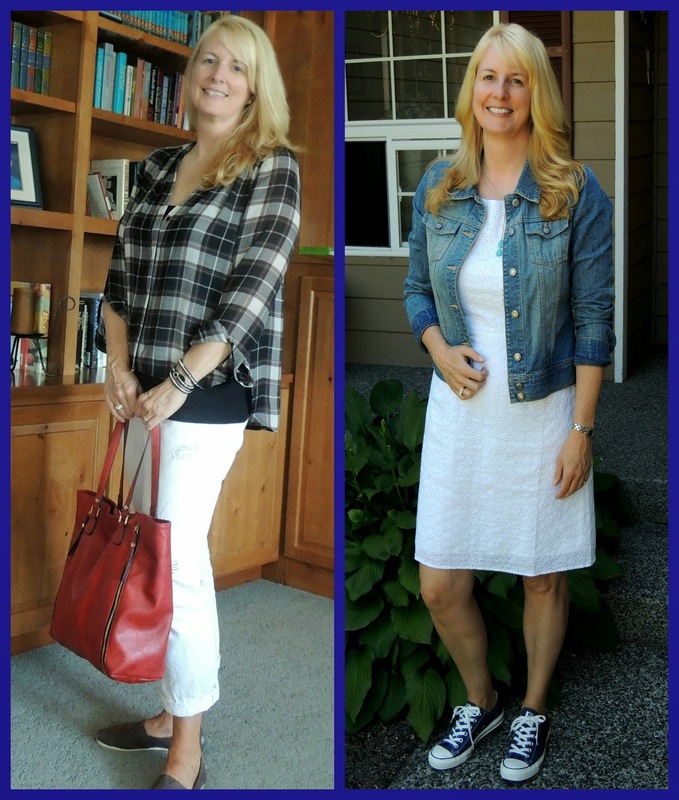 With the help of Alison and inspiration from some of my new blogging friends, I stepped outside my comfort zone and tried some new things - leopard print, white jeans, dresses with sneakers, ponchos, and leggings. 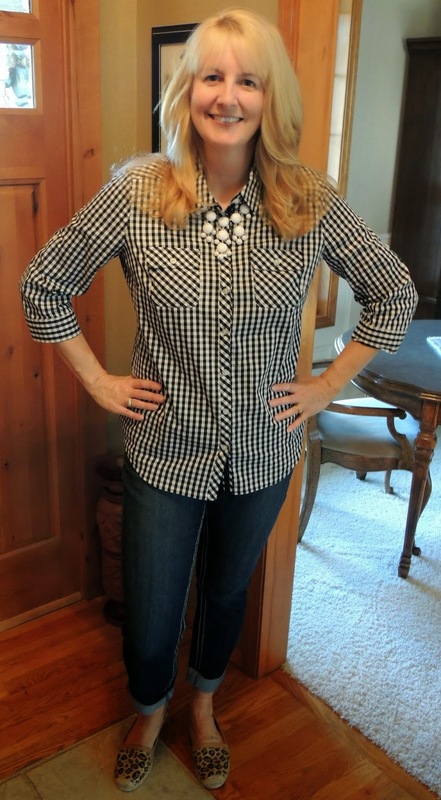 My husband noticed, my boys said I looked pretty, and I felt much more confident actually wearing the clothes that had been hanging in my closet. Here's to a stylish 2014, with more to come in the new year. I'll be linking up throughout 2015 with the Style Me Bloggers, and we have some really fun, interesting posts scheduled. I hope you'll join us! I think it's great that you pushed yourself out of your comfort zone and tried new things! You always look amazing! Cheers to 2015! Aww, you are very sweet. You are one of my inspirations! It is wonderful when other people notice the effort you are putting in. I agree! Happy New Year to you too! I'm so happy you enjoy them, and I laughed when you said you hear my voice in your head. Not sure if that's a good or bad thing :)! You look great. I tried to do a recap, too...but I missed a lot of outfits during the holidays so I just posted random photos from the week! You look fantastic and I've loved linking up with you in 2014! Happy New Year! Thank you Joy! Looking forward to linking up in 2015! You do look so stylish, friend! I had forgotten about the white dress + sneakers. I love that look on you! Looks so modern and hip. Glad we became friends in 2014! I'm so glad that we found each other this year - one of my favorite parts about 2014! Can't wait to see what next year brings! You're beautiful inside and out Lana!! Loved getting to know you this year! Can't wait for what 2015 has in store. Happy New Year!! Aww...thanks Katie, what a nice compliment. The same right back to you! 2015 should be fun!